Discover on board of your Ferrari the enchanting landscape of Tuscany, the Chianti area and the beautiful popular town of San Gimignano, part of the UNESCO HERITAGE, the medieval villages. Enjoy amazing typical food, and the artistic treasures, everything behind Supercars’ wheel. You will be transfer by private chauffeur to the meeting point nearby Siena. Short briefing a departure for your exclusive Ferrari experience in Tuscany. You will be escorted by our experienced team that will take care of you and make your tours absolutely memorable. You will visit the picturesque ancient fortified village of Monteriggioni and you will enjoy a stroll through the narrow streets then time to relax with a coffee break. The tour continues driving your Supercar to San Gimignano, with exclusive visit of the Cathedral and the famous Towers. Enjoy a special Vernaccia wine Tasting in an exclusive winery. Departure to The Chianti area and stop for lunch based on local product and visit of an exclusive winery producing the delicious Chianti Wines. After lunch heading to Castellina in Chianti and visit of the old village, where you can enjoy a break while tasting a delicious Gelato (ice cream) at a famous ice cream shop. On board of your Ferrari you will drive through the suggestive streets of Chianti passing through characteristic castles of the area such as the Castle of Brolio. Our exclusive “Ferrari Tour Val D’Orcia & Crete Senesi”, takes you to explore hidden gems in Tuscany such as Buonconvento, Bagno Vignoni, Montepulciano and the famous enchanting area of Crete Senesi. You will be transfer by private chauffeur to the meeting point in the area of Siena. 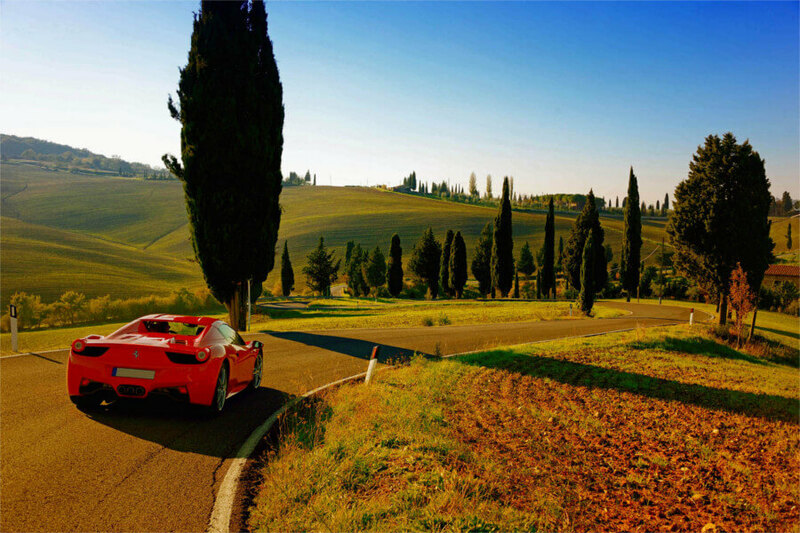 Short briefing and you will be ready to departure for your exclusive Ferrari experience in Tuscany. You will visit the old village of Buonconvento, with a nice stroll. On board of your Supercar you will drive to the beautiful village of Bagno Vignoni, visit of the town and enjoy a coffee break. 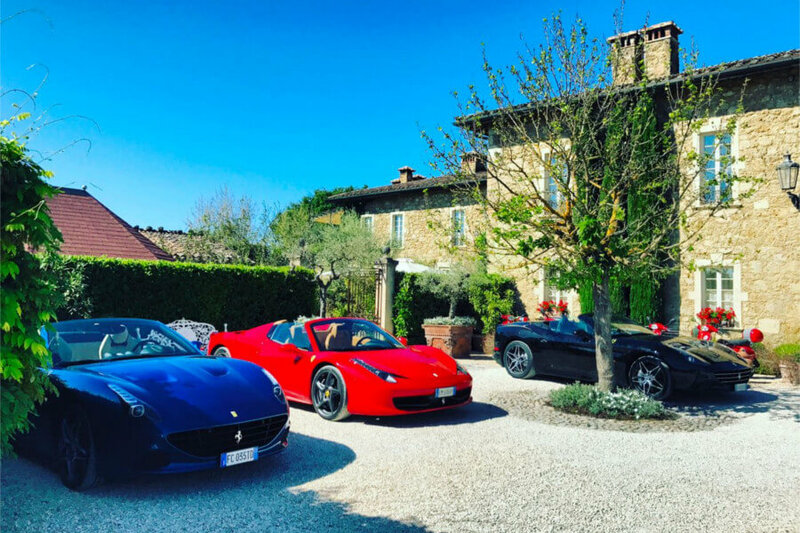 The tour continues driving your Supercar to the area of Montepulciano, you will stop in a exclusive winery producing the wine Nobile di Montepulciano, visit the winery and wine tasting. Departure to return to Siena driving trough the characteristic streets of Crete Senesi. Along the way we stop to visit one of the most impressive town (Trequanda or Asciano) located in the area of Crete Senesi. Return to your location. 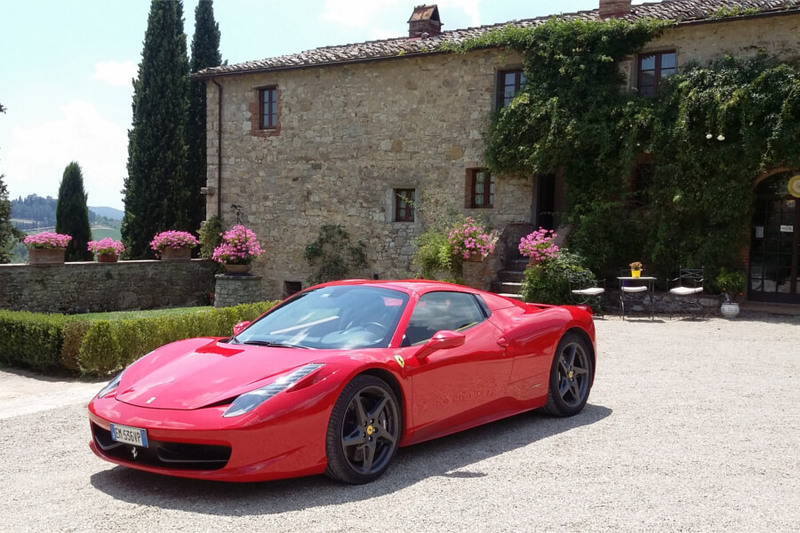 If you location is in the area of Siena you will find your Ferrari waiting for you at your Hotel or Villa . If your location is not in the area of Siena we arrange private luxury transfer from and to your Hotel or Villa. The experience is customized according to your requests. The tours have an average journey of about 150/170 km for a total of about 4 hours of driving. 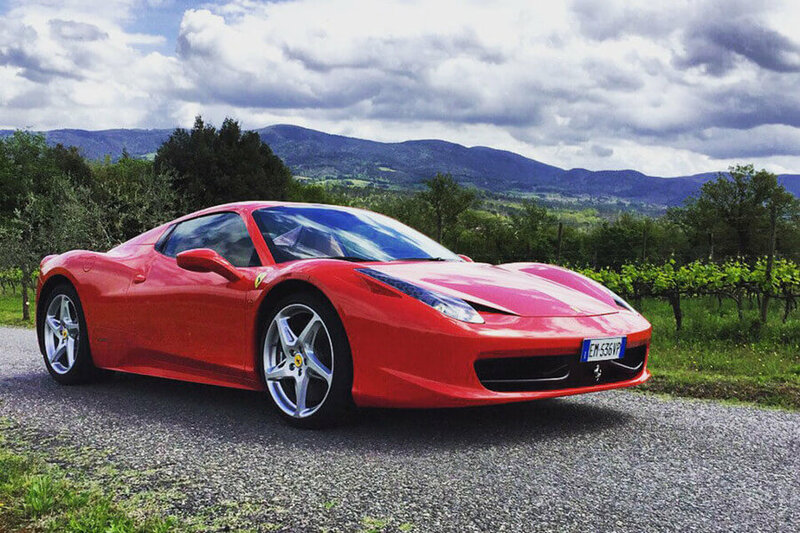 We are dedicated to organize Bespoke Ferrari Tours in Tuscany for individuals, couples, families and groups.